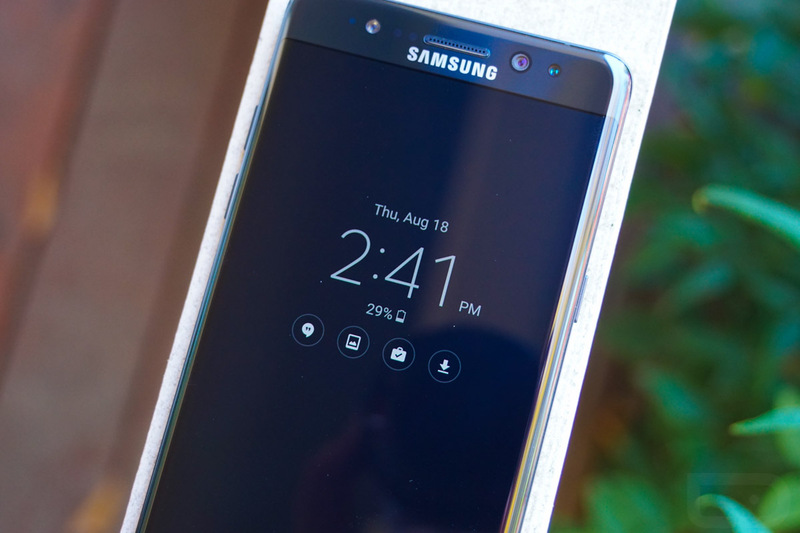 As you know, we are just now diving fully into the Samsung Galaxy Note 7, so that means we are discovering all of the new tweaks to software that Samsung has issued this time around in real-time. As we discover them we will share them, assuming they are a big enough deal, like new improvements to Always-on Display, a feature first introduced with the Galaxy S7 that didn’t quite live up to the hype. On the Galaxy Note 7, Samsung has improved Always-on Display by adding something that should have been a part of the experience from day 1 – notifications from all apps. You may recall that with the S7, we called Samsung’s Always-on Display a “decent first attempt,” but found the lack of notifications to be a major downer, leaving the idea of an always-on display…lacking. Within minutes of setting up my Note 7 and turning on Always-on Display, I noticed this new change right away. 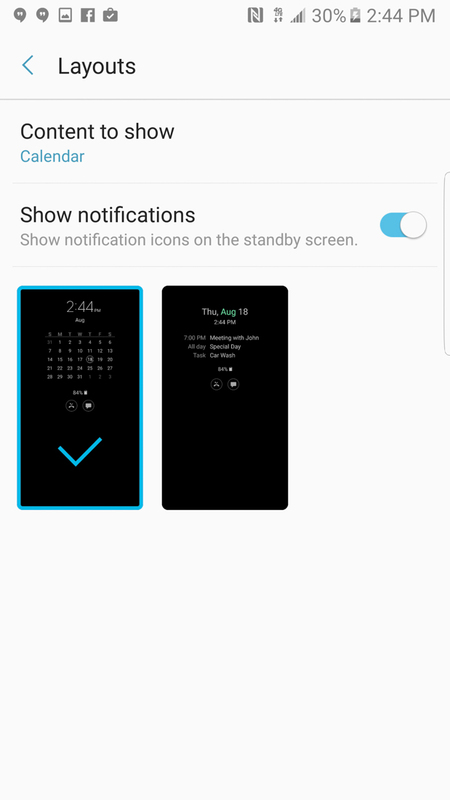 In the past, Samsung would only show you missed notifications from the stock phone and messaging apps. On the Note 7, you get everything. As of right now, I have notifications showing for Samsung Pay, Hangouts and Inbox. At one point, I also had a screenshot notification, a bunch of Samsung’s Galaxy Apps store, and a + symbol that told me there were even more to see. 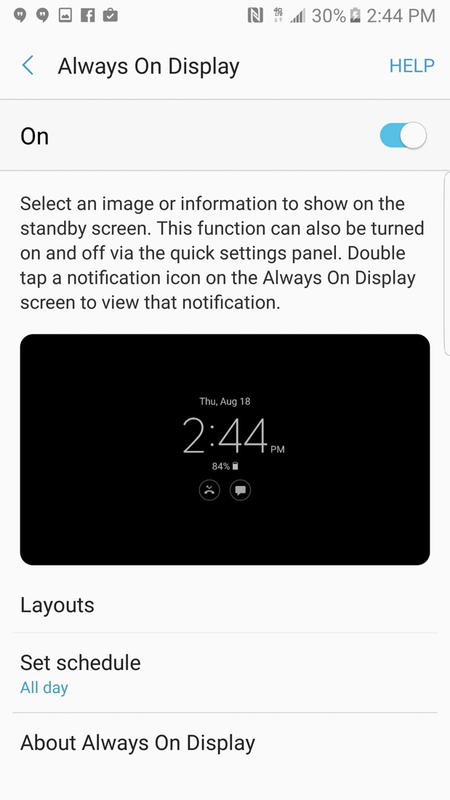 Sure, you can’t interact with any of these notifications like you can with Motorola’s Moto Display or Google’s Ambient Display, but it’s a hell of a lot better than what you get on the S7. 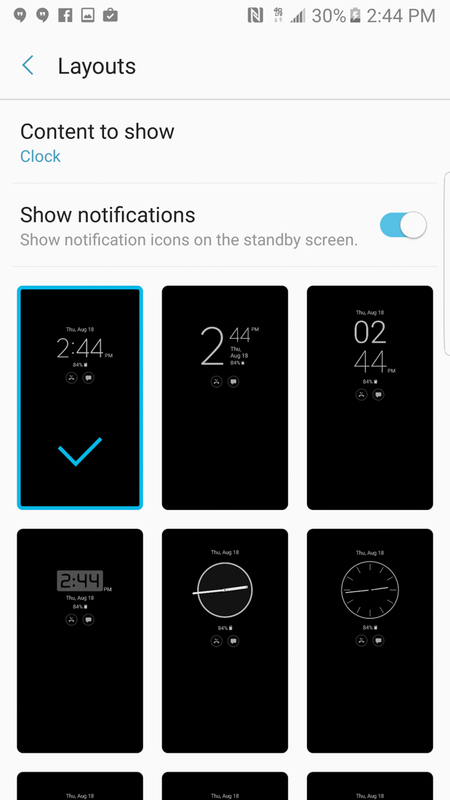 Now, instead of just being a clock and battery meter, you can actually look at your phone and see if it needs you to take care of business. NOTE: Yeah, we know that dozens of Note 7 reviews are out and you might know a bunch of the stuff we are about to post. Honestly, I don’t care. If you know this stuff already, cool! We’re still going to cover this like we do all phones and that means sharing the interesting bits of info we find as we find them.